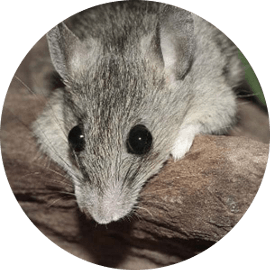 Pest Control & Wildlife Removal In Markham - SIA Wildlife Control Inc.
Markham is a city in the Regional Municipality of York. One of many cities within the Greater Toronto Area. Markham’s population as of 2016 was recorded at approximately 329’000. Wildlife presence has always been an issue in the Markham. During its development, modernization and deforestation the natural habitats in Markham were reduced over time. Yet instead of diminishing wildlife population, raccoons, squirrels, and skunks learned and adapted to our way of life. In some senses our way of life is a benefit to their existence. Weekly our compost bins left outside the night before garbage day serve as food for raccoons. Squirrels instead of chewing their dens into once plentiful trees now chew into attics of homes, similarly with raccoons. Beware of unknown feces on your property as they could potentially carry parasites. 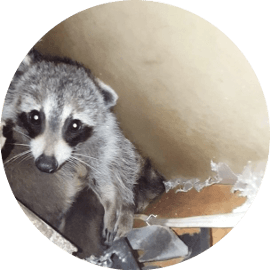 SIA Wildlife Control provides raccoon removal services in Markham, ON and Whitchurch-Stouffville within the Greater Toronto Area. To us, our customer service and work quality is priority to ensure our clients receive the most satisfactory and humane service. We have Chinese speaking representatives ready to assist and accommodate our clients in the area. 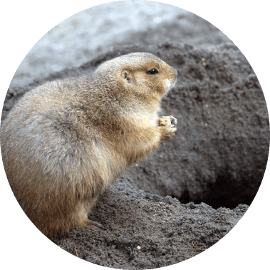 Our team specializes in squirrel removal, skunk removal, bird removal, bat removal, groundhog removal, opossum removal, and raccoon removal services. The raccoon removal method we use is humane and simplified. We use a raccoon one way door which is fixed on a 16 gauge carbon steel mesh that our technicians install over the entry point. The door allows raccoons to exit and denies them re-entry. Similarly squirrels have their own one way door design. We return after a period of 3-7 days and remove the door and baby box if applicable, and seal the one way door area with a mesh barrier. If necessary, we offer repair services to avoid leakage into the roof as a result of the animal damage. To avoid future raccoon problems, our technicians will prepare and present an inspection report to pinpoint vulnerable areas on your roof. This is called prevention and is an optional service for clients who wish to live wildlife problem free. For open space areas such as backyards, we offer raccoon trapping services. Any wildlife removal service we provide comes with a 2 year warranty on all physical work done! Do you hear noises in your attic? Some clients describe raccoons as”someone walking on the roof”. Raccoons typically, are responsible for these noises. Major attic entry points for raccoons include vents, pipes and junctions. Occasionally raccoons are found inside chimneys when attic spaces are not an option for them. Our team inspects the entirety of the attic and your roof for entry points. When found, we install a raccoon one way door to evict all raccoons. If babies are found during the inspection, our baby removal procedure involves the physical removal of raccoon babies and reintroduction into the wild by means of reunion. We place the babies on the roof of the home in a heated incubator, which the mother raccoon returns to and relocates her babies. We will return in a few days to remove the box from the roof and inspect the roof to make sure there are no more problems. Squirrels make themselves known by their scattering and running in the ceiling (attic). Typical squirrel entry points into the attic are through vents, pipes and junction gaps. 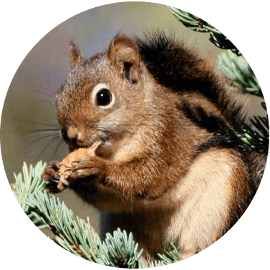 However in the case of bad roof conditions, squirrels can chew entries through the roof-line and the middle of the roof. Babies are born in the months of March, and then again in August-September. In the baby season the use of one-way doors is not morally correct or humane. A technician at SIA Wildlife Control will inspect the attic and physically remove babies before placing a one way door. When babies are in possession they are placed in a heated incubator and placed accessible to adult squirrels for relocation. Squirrel removal in Markham is done similar to the raccoon removal procedure. The one way door is installed on a 16 gauge galvanized carbon steel meshing, which is generously placed over the entry hole on the roof.